There’s at least one in every pack and this is an agent of chaos. Created from a complex layer of malts and blended hops, this well balanced IPA delivers satisfaction every time. Golden in the glass, fruity on the nose with hints of cedar. 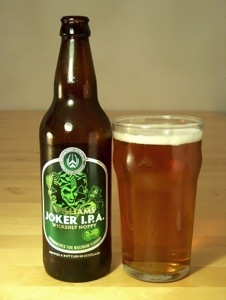 Joker IPA is Bitter/Sweet, full of flavour and is sure to put a smile on your face.